A question often asked is how I can tell if my bath has been resurfaced in the past and why is it important. 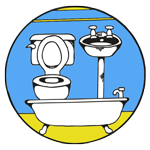 Firstly to tell if your bath has been resurfaced have a look at the surface and check for any peeling, blistering, flaking, bubbling or cracking. If none of these are present, have a look around the edge of outlet, base of the taps and around the overflow, when a bath is resurfaced in situ these areas are masked up and when the masking tape is removed it can leave very fine jiggered edges in the coating and is a tell-tale sign of a resurfaced bath. Now we know how to tell if it has been resurfaced, now why is it important. In 99% of cases where a bath has been resurfaced and is starting to show signs of ware you will need to strip the coating off prior to resurfacing with one of our Tubby Extra’s kits. The main reasons for this is; if the coating is broken water will get under the coating and when warmed it will turn to steam and over time will lift the material. Secondly, all bath coatings have a life span at which stage the adhesion of the material will start to go. With a Tubby bath we would expect the coating to last in the region of 10 years. Other coatings may have a shorter life expectancy. As such if you merely try to coat over an existing coating once the adhesion goes on the original coating the top coat will come away anyway. The third and final reason why you would want to strip a resurfaced bath is if you don’t know what is on your current bath and you apply Tubby on top, the solvents in our materials can dissolve the coating below and lift the new Tubby coating. However if you have used Tubby please call the office as you may not be required to strip the bath. To strip the bath you will need to have the following consumables: between 700ml – 1l high quality stripper, a couple of blade scrappers, 80 grit wet and dry paper, scotch bright pad, chemical resistant gloves and any other personal safety gear you may require. We would advise you to wear a mask and eye protection. The stripping process can be time consuming as due to regulatory changes the active ingredient dichloromethane or methalyne dichloride have been removed from most DIY stripping products. The new reformulated products do work however the process takes significantly longer. 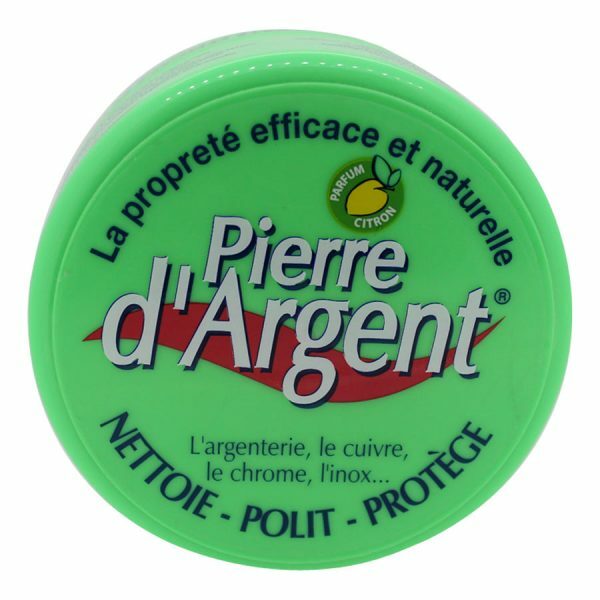 Most tins will say you need to apply and wait around 40 minutes however in practice you will more than likely need to keep the stripper and for 3 – 5 hours, remembering to keep the stripper wet by adding more every 30 minutes. Start by meticulously washing the bath with a scotch bright pad and soap cleaner as strippers generally will not work through soap residue, dirt or limescale build-up. 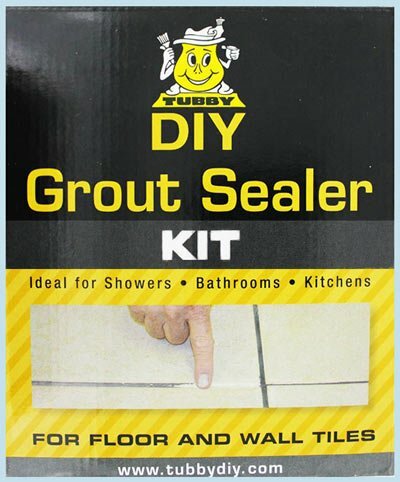 Aggressively sanding the bath with your 80 grit wet and dry paper or alternatively the preparation wheel which comes in our Tubby Extra Kit, this will break the surface of the material allowing the stripper to get in and start working faster. Give the bath a final wash out and make sure it is completely dry as strippers will not work through water either. Working on about a third of the bath at a time apply the stripper and keep checking on it every 30 minutes to make sure it is still wet as described above. Once the coating starts to bubble and blister, use your blade scrappers to remove the coating. It is a good idea to keep an old newspaper so you can load the stripper and coating muck onto for easy disposal later. Continue this process until you have completely stripped the whole bath. Once the bath is completely stripped wrap all the muck in additional newspaper sealed with a plastic bag and dispose of it in a responsible way in accordance with your local council rules. You will now need to wash the bath out with plenty of warm soapy water to make sure all the stripper is completely removed. 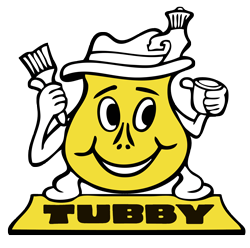 You are now ready to start the Tubby process. Which will begin with washing out the bath with the Tubby cleaning powder and cleaning pad. Don’t skip this step as it is the foundation of the Tubby process and really important to make sure there is no residue of the stripper remaining. If in doubt about what kind of bath you have and any part of this process please contact our offices, we are here to help.